Vikings of Brazil is a B2B sales and business development company with a proven track record. It was founded in 2011 by Pasi and Lilia Loman. 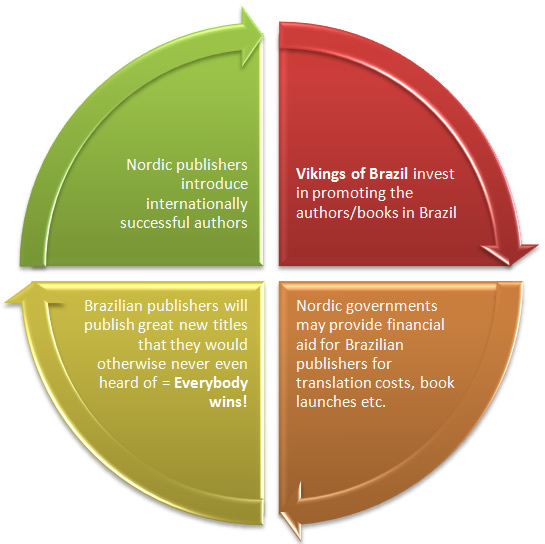 Our initial focus was the publishing sector, promoting Nordic literature in Brazil, but today we are active in various business sectors and represent companies from 10 different countries. Our success has been noted in the biggest newspapers in Brazil, as well as major media outlets in Finland, USA and the UK. Pasi was born in Finland, educated in England and has been resident in Brazil since 2006. He has studied business administration (MBA) and has a PhD in Classics (University of Nottingham, UK). Lilia is Brazilian, but has also lived a number of years abroad. She has over ten years of experience in business administration and runinng her own company. Lilia has a PhD in Critical Theory (University of Nottingham, UK). Prior to moving into B2B sales and opening Vikings of Brazil, both Pasi and Lilia worked as teachers and translators, and they also have experience from the telecommunications and manufacturing sectors, among other fields. In addition to Vikings of Brazil, Pasi and Lilia also own a language school, Communicate English Training. We also have excellent working relationship with various embassies, consulates and chambers of commerce; with Pasi having led a number of projects for them as the project leader. Signing a contract with the Instituto Ayrton Senna. 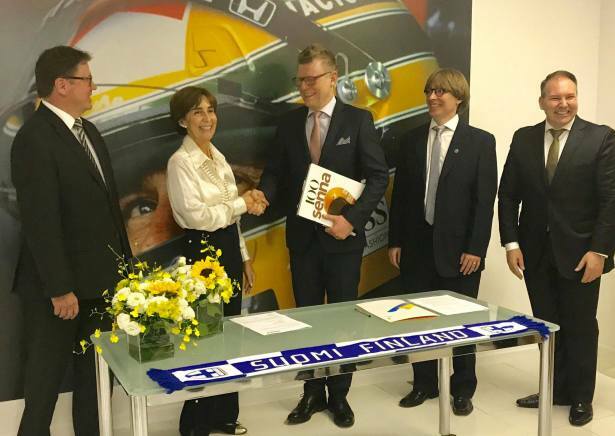 In the photo (l-r): Markku Virri (Abassador of Finland), Viviane Senna (Director of IAS), Riku Alkio (CEO, Seppo), Pasi Loman (CEO, Vikings of Brazil) and Emilio Munaro (Global Development Director, IAS).